When you’re responsible for the daily operation of a facility, either residential or commercial, the repercussions of equipment failure can be monumental. Tru-Serve offers clients specialized and experienced equipment maintenance services, whether it’s an emergency repair or as part of your customized facility maintenance plans. No matter what system in your building lets you down, our professional and experienced technicians will get you up and running in no time. At Tru-Serve, our apparatus maintenance service ensures that you’re running safely and can rely on your machinery. 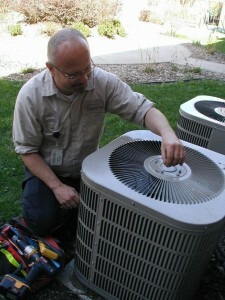 From rooftop systems to boilers, HVAC to plumbing, we do it all. When you call us out for a maintenance service, we don’t just address the problem and leave. Our specialized techs take the time to review the entire system for you, so that we can let you know if we see any other potential issues. This means that our standard call of two hours may take only 20 minutes to fix what you called us for, but we stay the full time you’re billed for, taking care of any other issues we find, to ensure you get your money’s worth. Our work is guaranteed to meet safety and compliance regulations, as well as environmental expectations, and every task is completed to pass any inspection you might have coming up. Lastly, we know that you, your customers, and your tenants have specific service expectations. Having Tru-Serve complete your equipment maintenance means that you can deliver on what you promise. Reduce energy usage and energy costs: With proper apparatus maintenance, your building runs more efficiently, meaning lower energy bills and a smaller carbon footprint. Clarify future costs and anticipate scheduled downtime. Improve tenant satisfaction with less service interruptions. Tru-Serve also completes comprehensive tracking and reporting of every job, making sure that the next person who visits knows exactly who touched the system, as well as what was completed. Our service process covers machinery from top to bottom, and we log photos, schematics, manuals, and parts lists. Our process is both cost effective and actually improves the maintenance flow overall, meaning less capital out of pocket. Our Vice President, Troy consults with all clients regarding new services. We pride ourselves on our respectful, top quality service, and would love to earn your business. Please inquire about our full range of services available. Keep your visitors and employees safe, and your equipment running at peak performance. Call Tru-Serve for equipment maintenance today. Call 1-888-271-2704, or send us a message for your free consultation today!